Leixlip is situated off the M4/N4 west of Dublin. From either East or West direction, take exit 5 signposted Leixlip. Follow the R148 past the Springfield Hotel to Leixlip village. After crossing over the bridge, you will come to a set of traffic lights. Take a right turn up Captain’s Hill on the R149. Continue on the road for approx 800m, and take a left turn after the Church and School. You will see a red-brick building on your right, which is the Leixlip Library. Take an immediate right turn into the carpark. 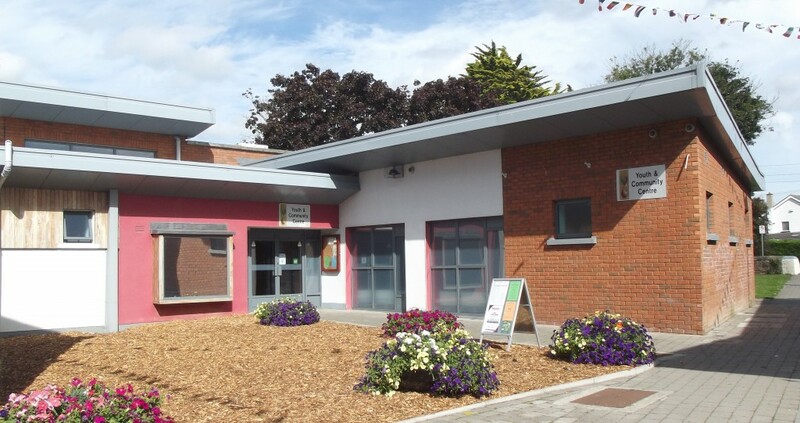 The Leixlip Youth and Community Centre is right beside the library. Leixlip (Confey) train station is less than a 5 minute walk from the Centre. Confey station is served by the Maynooth Commuter line with regular trains to/from Dublin Connolly and Dublin Pearse. The 66a bus route from Dublin City Centre will leave you within a 2 minute walk from the Centre. Leixlip is also served by 66/66b/66d routes – the nearest bus stop is on Leixlip Main Street, which is a 15 minute walk from the Centre.